Georges St-Pierre and Rory Macdonald may be inactive for the meantime but Canada will have plenty of representation when several elite Canadian fighters fight in momentous match-ups in the next few events. While not household names, expect some solid performances. Leading the charge are teammates to St-Pierre and Macdonald in lightweight Olivier Aubin-Mercier and welterweight Alex Garcia. 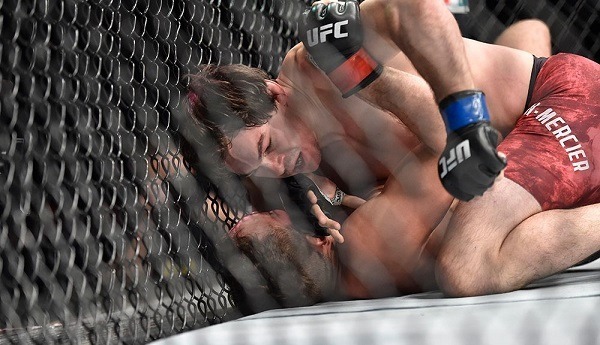 Aubin-Mercier is on the verge of contender status but must get past an ultra-tough UFC veteran while Garcia tries to string together consecutive victories against a former top-15 opponent. We look at the fights and break down the Canadian fighters (odds via SportsInteraction). He's the youngest and arguably the most talented Canadian on this list, the "Quebec Kid" faces his toughest opponent in longtime UFC veteran Evan Dunham. The lightweight is 6-2 in the UFC but has won three straight with two of those coming via submission. Aubin-Mercier is another success from Firas Zahabi's Tristar Gym based in Montreal. A true mixed martial artist, OAM is versed in Brazilian Jiu-Jitsu, Judo, and Taekwondo along with a developing wrestling and kickboxing game. Even if being 29 looks "old" on paper, OAM is young in MMA years and has a long way to go. Currently lined as an underdog, OAM has all the tools to pick apart Dunham. This will be a true test of his mental grit as 14th-ranked UFC veteran is unbelievably tough and keeps pressuring. A win is sure to propel OAM to a high-profile fight. At just 7-0 into his professional MMA career, Bhullar could already be Canada's best heavyweight prospect. The Indo-Canadian was a 2010 Gold medalist at the Delhi Commonwealth Games and was also a multiple-time provincial and Canadian national wrestling champion. Bhullar passed his UFC debut with flying colours by soundly defeating Luis Henrique back in Edmonton for UFC 215. 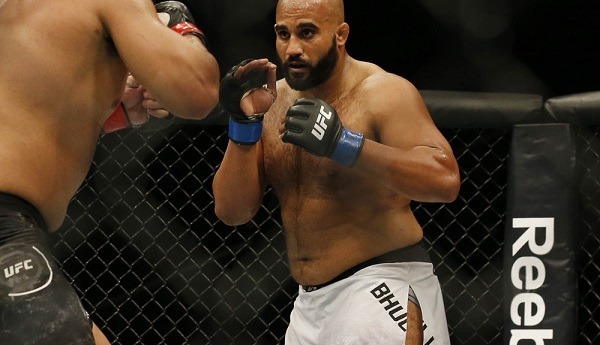 While he hasn't finished many opponents, Bhullar's strength and sound wrestling ability makes him a future contender in the shallow heavyweight division. Facing Adam Wieczorek, a Polish fighter who is 9-1 and has won eight-in-a-row, Bhullar could see himself facing ranked opposition should he get the victory. Despite having a size disadvantage, look for Bhullar to once again use his wrestling to dominate the fight. While not officially a Canadian, Garcia is one of Zahabi's prized pupils and has been fighting out of Montreal since 2009. Nicknamed "The Dominican Nightmare", Garcia is built like a superhero. While just 5'9", he is a fast and powerful striker with knockout power and even a longtime wrestler like Ryan LaFlare should be wary. Garcia has long been considered one of the top Canadian prospects and while he's alternated wins and losses, he's still making improvements. Beating a former top-15 fighter like LaFlare could expedite Garcia's contender status. He'll have the speed and striking advantage but must continue to work on his endurance and consistency, which have held him back. But once Garcia finds his groove, he'll be on a short list of Canadians who could potentially fight for a belt. Kaufman has been one the sport's most underappreciated fighters. 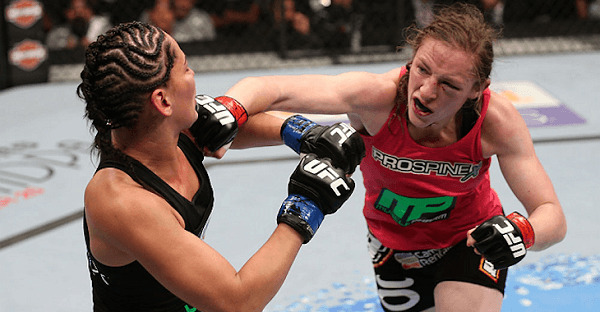 A pioneer of women's MMA, Kaufman was the former Strikeforce Bantamweight Champion and holds wins over former UFC champion Miesha Tate and title contender Roxanne Modafferi. Now headlining for Invicta, Kaufman is fighting for the vacant Invicta Bantamweight Championship and should be a significant favourite over German fighter Katharina Lehner. While Lehner is unbeaten at 7-0, Kaufman's 19-4 (1 NC) pro record signifies a fighter who is seasoned and has fought the best in the division. Expect Kaufman to put on another solid performance as she uses her striking and underrated wrestling to bounce Lehner from the ranks of the unbeaten as she claims another championship. While Georges St-Pierre continues to ponder his UFC career, there are plenty of Canadians making names for themselves even outside these four. UFC 223 will air live on pay-per-view while the other UFC Fight Nights are free on TSN. Canadian fans also visit online bookmakers to bet on fights. Read our reviews before depositing to any books.